Australia may not seem to be the most likely ski destination, in fact many Australians have never seen snow. Yet this continent has several fine ski resorts in the south-eastern states of New South Wales and Victoria. They may not be particularly Alpine in nature, but with ubiquitous forests of eucalyptus, or snow gums and their colourful bird life, they provide intriguing skiing. Canberra: 180km (112 miles) from Thredbo. Jindabyne: 30km (19 miles) from Thredbo. Snowy Mountains airport in Cooma: 85km (53 miles).Shuttle bus service available from airport - booking essential. Thredbo: 10% beginner, 40% intermediate, 50% advanced. Perisher: 10% beginner, 40% intermediate, 50% advanced. Thredbo; longest vertical drop in Australia; great apres-ski. 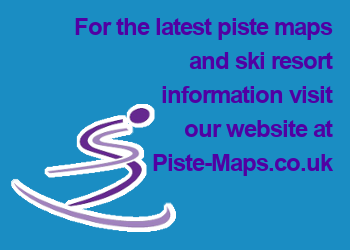 Perisher: Uncrowded pistes; huge ski area. Thredbo: Low base depth; lower slopes are often slushy. Perisher: Unwieldy, fragmented ski areas. Jindabyne is Australia's most prominent alpine town, not a ski resort in its own right, it does provide lodging for skiers and boarders wanting to try the slopes at both Perisher Blue and Thredbo. Jindabyne is within easy reach of the Snowy Mountains three main Ski Resorts, Thredbo, Perisher & Mount Selwyn, either by car or shuttle bus.